Be it the sunlit mountains, the deep jungles, the rapid waterfalls, splendid beaches, every place would always have something in common. Something every traveler faces and some basic notions every traveler should have before he starts his journey. Traveling can be very refreshing and a lot of fun but only if you are aware of what to do when you are on your dream trip to the best places in the world. Be it The Table Mountains of Cape Town, Opera house at Sydney, Machu Picchu of Peru, Paris in France or the beaches ofCopacabana in Rio, you need to know certain common things that will make your trip worthwhile. So here is a list of five things you need to keep in mind while travelling to the best places of the world. Be Patient. Observe Daily Life. The first thing you need to remember is always be very patient while you are travelling. Observe people, places, nature. Sit somewhere, calm yourself down and just look around you. The place, the serenity, the people walking by, takes down notes at times, click a few pictures. Always remember, the more you observe, the more you fall in love with that place. Try New Food, Street Food. Now if you are in a completely new place, this is something mandatory. You need to try the local food and what better than local street food. You can avoid very expensive places. 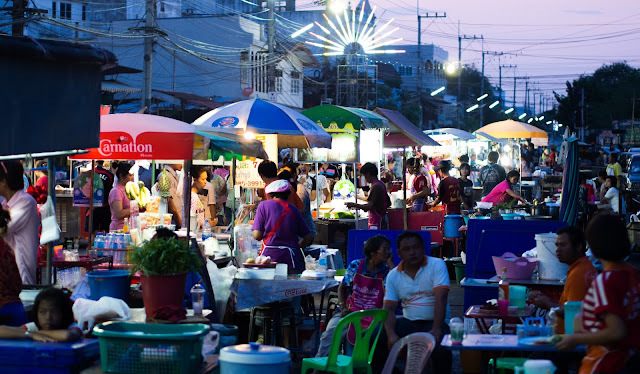 A little research will help you find those small shacks with amazing food at reasonable prices. Always say “yes” to Hospitality Networks. What can be better than a home away from home? Trust me when I say that, a hotel or even a resort for that matter can’t provide you with the same experience like that of a homestay. Staying with the people who originally belong to the place, can be such an advantage. You get to know the oldest stories about the place, you know which places to travel and there are very less chances of getting ripped off by shops because you would already have all the information you require. You can even try hostels. You get to meet a lot of other travelers. Walk when needed, not all the time. The best way to roam around a place is by walking. But not always. When you have a lot of places to roam around with very little time in hand, you should just go for any transportation but make sure you don’t miss out on those places just because of time crunch. Now, saying that, I would also like to mention, try and avoid cabs because they can be really expensive. Go for public transportation. Don’t Plan too much, just get lost at times. It is good to plan a trip, but don’t over plan it. Once you get your basic plan right, you have your traveling map, just loosen yourself a bit and breathe in the new fresh air. Meet some strangers, try something new, walk a few unknown roads, click a few masterpieces, buy some souvenirs. However, while shopping; always remember, in a place with many tourists, shops normally charge higher than market prices. So bargaining would always be a good idea. Just go with the flow at times, after all it’s a new place! And you know the fun part of being in an unknown place? Nobody knows you, and in all probability, you will never go back to that place. So enjoy yourself to the fullest, and come back with a lot of good memories, pictures and an amazing experience which will last you a lifetime.